Develop yourself as a Master with this advanced course built on Kundalini Yoga and Meditation inspired by the teachings of Yogi Bhajan. Work personally with Master Teachers Sevak Singh and Guru Singh. Establish, develop and experience your unshakable spiritual frequency through Mata Shakti Kundalini. 40 days of individualized yogic preparation. 6 residential immersions over 12 months (4 days each). 12 months of in-course guidance to solidify self-determined personal practice. We have 25 spots available per year (20 spots are residential). Practice moving the Pranic forces. Consciously expand into the subtle realms of Kundalini Self Mastery. Establish a personal knowledge of Kundalini. Advanced yoga, meditation, rebirthing and deep self-work. Sevak Singh guides you through the ‘I Am’ process creating a unique self-mantra providing direction to the path of your Self Mastery. Guru Singh guides you to expand your fixed frequency of Self into the void, creating an illuminated path of experience and understanding; to experience the phenomenon of Spirit pulsating into the present moment; to witness the unknown becoming known. Connect your experiential spiritual Self in relation to living on Mother Earth while consciously creating unison with the earthly elements through yogic practice, gardening, healing foods, recipes, and the preparation of healing balms, salves and tinctures. 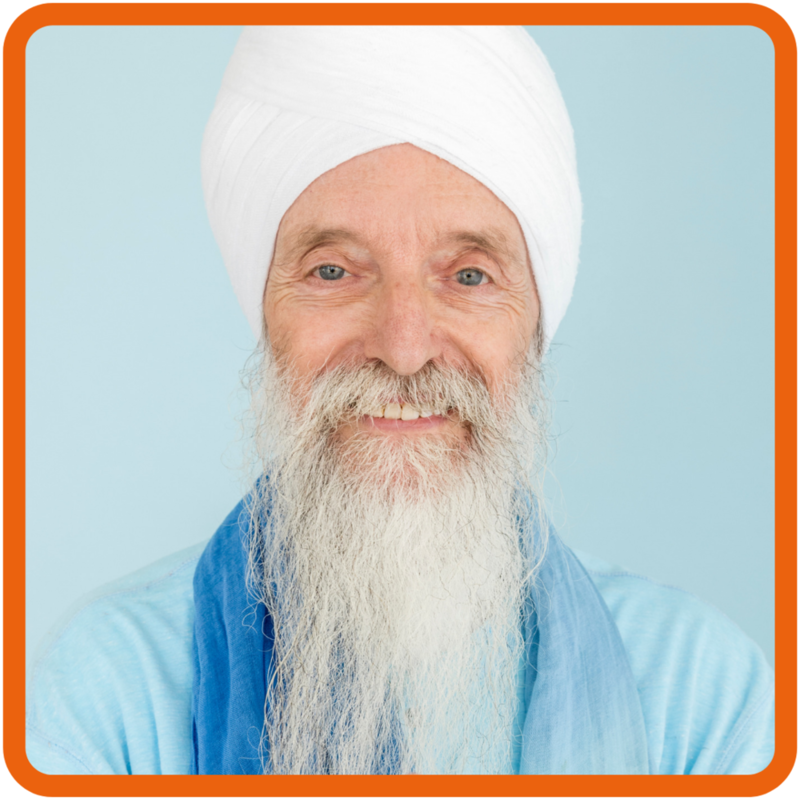 Guru Singh delivers a practical study and experience of internal, external, individual and group sound for self-development and stimulating the Kundalini energy; including the use of external sources of sound: gongs, bowls, conch and other instruments. Discover benchmarks and best practices for continuing and integrating Self Mastery into your daily life. Define your specific practices and goals to create spiritual impact within your orbit. A payment of $1,000 is due within 5 days of acceptance into the 2019 KSM course to reserve your spot. Payment in full is due on or before January 1, 2019. Application fee and course payment are non-refundable. We do not provide transportation at this time. Please make all necessary transportation arrangements to and from Heart + Soul Oasis. Daily schedule begins in the ambrosial hours 2.5 hours before sunrise and ends before 9pm. If private lodging is desired, offsite accommodations are located 25 minutes away in Payson, AZ. All associated transport, scheduling and expenses are the participant’s sole responsibility. Participants staying offsite are expected to attend the full day of events and trainings. Upon receipt of your application and documents, your application will be reviewed. You will be notified about acceptance and a phone interview will be arranged with either Sevak Singh or Guru Singh. If you are not invited to participate, we can make suggestions for personal development relative to your practice prior to re-application. 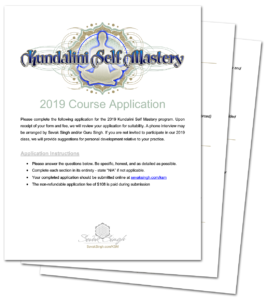 Ready to submit your Kundalini Self Mastery application? Complete the form below, attach your completed application, and click submit. Upon submission, you will be redirected to PayPal to securely pay the application fee.